Pierre Taki is being replaced in TV shows and as the official Japanese language voice of Olaf in Frozen 2 and Kingdom Hearts III. 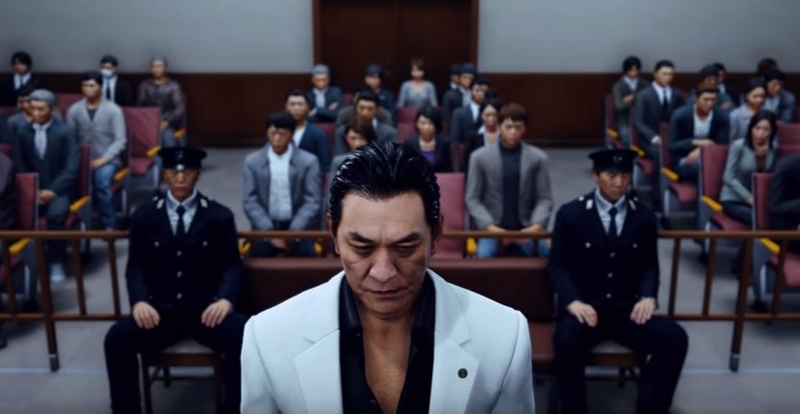 With the precedent Yakuza 4 set, don’t expect him to always be in Judgment. When the game first came out, it was priced at 8,953 yen ($80). This has caused prices to increase. Above, on the left is a photo taken on March 13, the day that Sega announced it was pulling the game. At retailer Geo, used copies were going for 5,480 yen ($49). The photo on the right was taken the following day, after Geo could reset its prices. The price for a used copy had jumped to 7,480 yen ($67). Other shops are charging a premium on the original price. In the above tweet, it’s going for 9,241 yen ($83). That’s actually not so bad, compared to these prices, which range from 12,980 yen ($116) to 14,567 yen ($131). Or even 14,800 yen ($133) for a new copy. Or 45,000 yen ($404)! Used copies that people are reselling online at more reasonable prices are getting snapped up.